The figure of 8 has long been worn in jewellery for its ability to symbolise infinity. Enjoy a piece that has been carefully looped around in 9ct yellow gold and carefully set with precious diamonds. If there is something to give, then give forever. 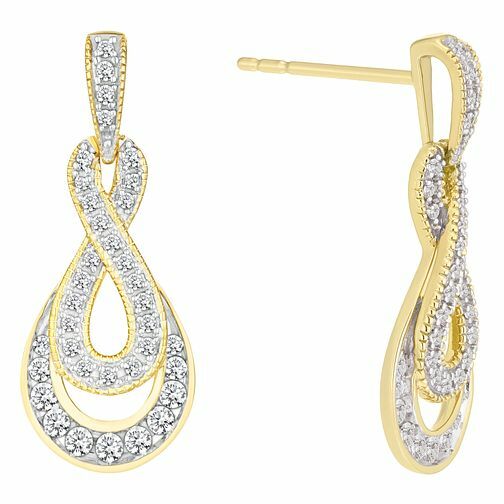 9ct Yellow Gold 0.33ct Figure of 8 Diamond Earrings is rated 5.0 out of 5 by 2.